One week to this Jellyriffic challenge and I am exhausted. Frankly, I'm looking forward to the weekend when I'll have time to rethink and work out the jellies. For today's post, I decided to work on a floral theme since I was using roselle or hibiscus. It's way much better than rose syrup since it is Vitamin C and gives you almost the same reddish colour. The recipes ain't rocket science since I've not had time to experiment much in this past day but they're old favourites. 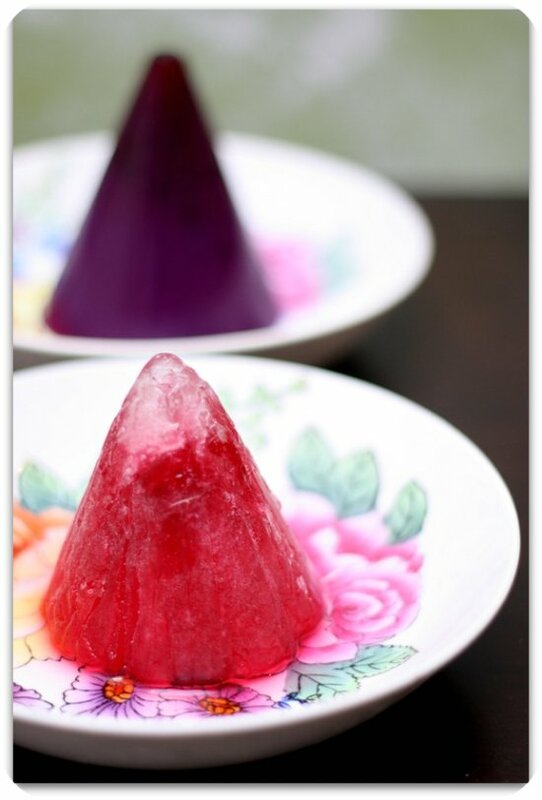 With the hot weather, I often keep a few tubes of what I call Ais Krim Malaysia - icy cold lollies made from favourite drinks. Usual ones in the freezer will be ribena lychee or roselle that are great to eat when you're enjoying a favourite movie. 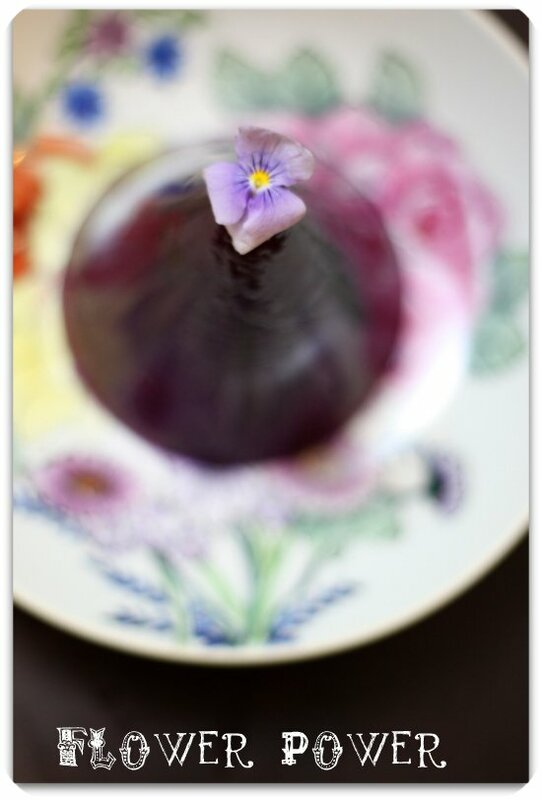 The Royal Selangor Nick Munro pewter jelly mould is perfect to create an icy cone that you can slowly savour. I've also made a jelly one from agar agar powder. Hidden within it (not evident since it is so dark) are edible roselles. I've used a pretty good roselle juice concentrate that has no additional sugars so its quite pure. 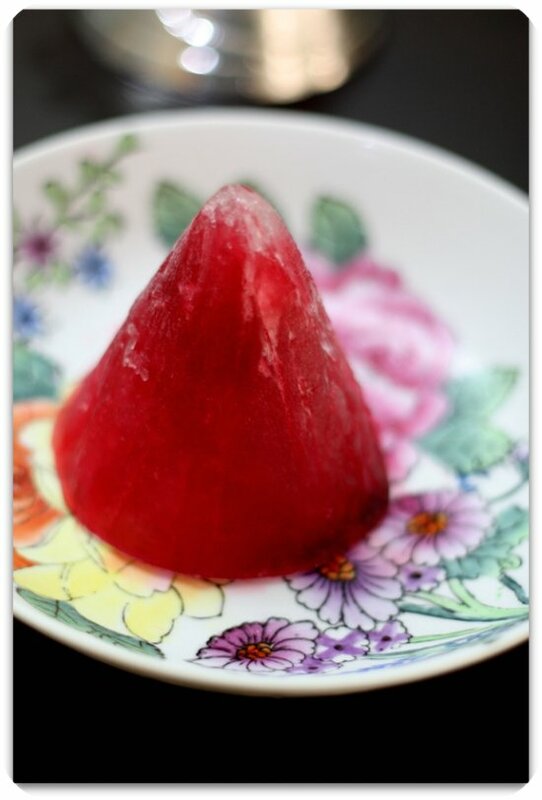 You can also boil your own roselle to create the juice. They also make great jams and pickles. Reminder: Support the cause by buying a Royal Selangor Nick Munro pewter mould as all proceeds go to breast cancer welfare association. Also, do remember to submit your suggestions to booliciouskl@gmail.com or leave a comment for the mould to win the Olympus camera VG-110. For more pictures, see the Flickr set for all the whole Royal Selangor Jellyriffic challenge. To view, all the jellies, see this link to the Royal Selangor website. Nice color and It beautiful creation!!! C'mon dear you can do it..You go thru 7 day already..I wish you all the best! !